THE BROLL. WITH A CAPITAL ROLL. Introducing a new tool category: part dolly, part wheelbarrow, all portable workstation. 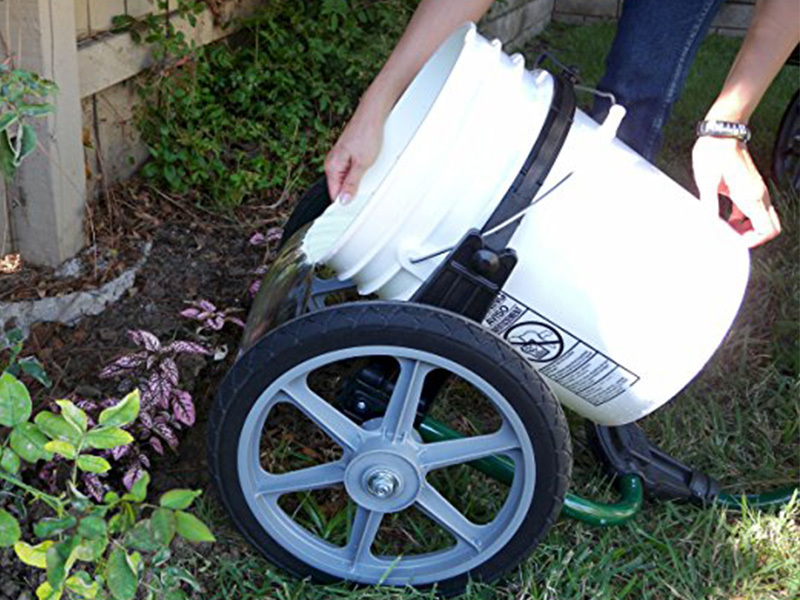 It’s the first modular transport device specifically designed to move those heavy 5-gallon buckets, and whatever you can put in them, over rough terrain with the greatest of ease. 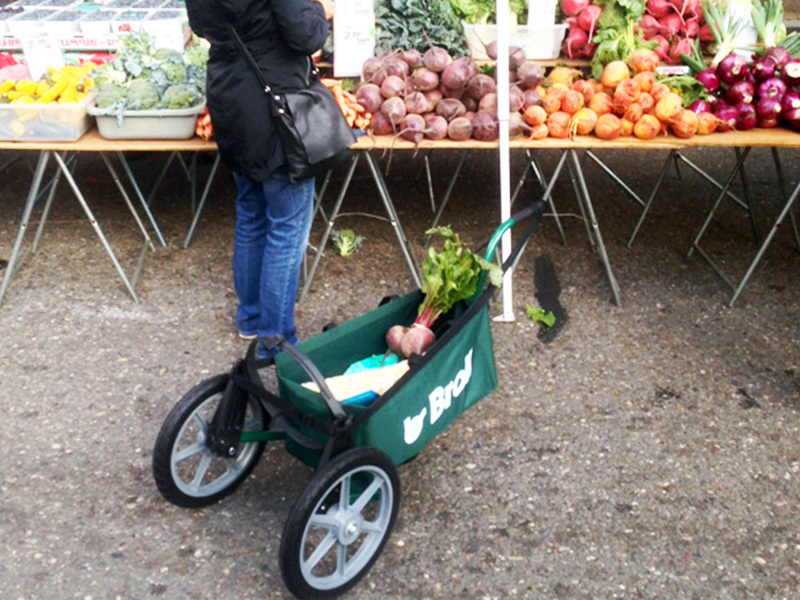 Plus, the Broll offers a growing line of smart snap-in accessories for tasks like gardening, mixing and serious hauling. A professional-grade tool, it combines tough powder-coated steel tubing with durable, UV protected, all-weather plastic. 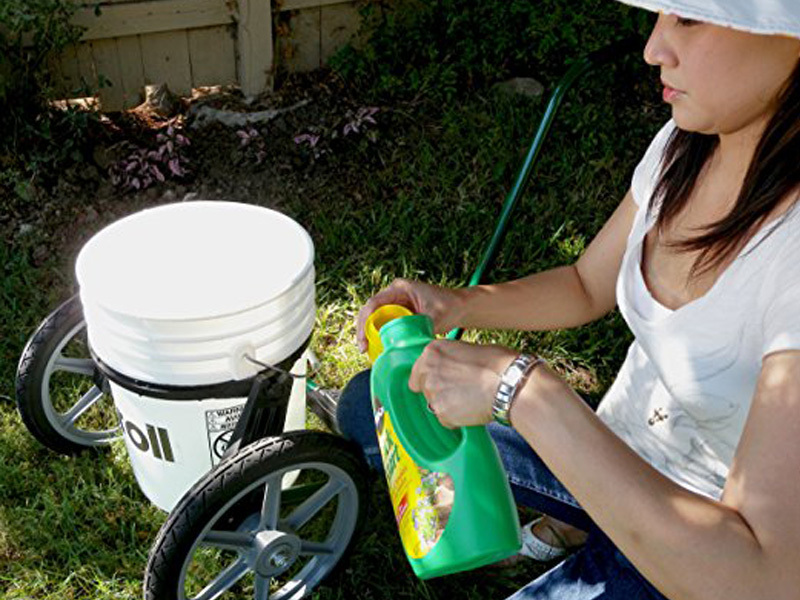 In short yes, your Broll is tough enough to work outdoors season after season. All Steel Frame – A professional-grade tool, it combines tough powder-coated steel tubing with durable, UV protected, all-weather plastic. In short yes, your Broll is tough enough to work outdoors season after season. Removable Handle – With a simple twist of the locking collar, the handle slides in or out of the T-Connector. The removable handle lets the Broll fit in a compact car’s trunk without compromising strength then locks back in place. The Wheels – The large 14-inch wheels stabilize the Broll, so it can be pulled over obstacles, up stairs, whatever you might encounter. And the Microcellular Polyurethane tires NEVER GO FLAT even after sitting in a cold garage all winter. 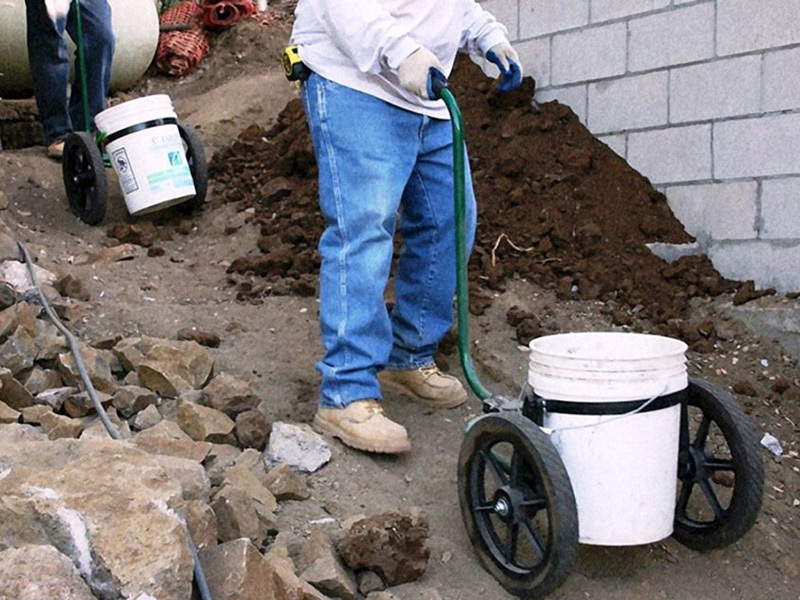 Introducing a new tool category: part dolly, part wheelbarrow all portable workstation. 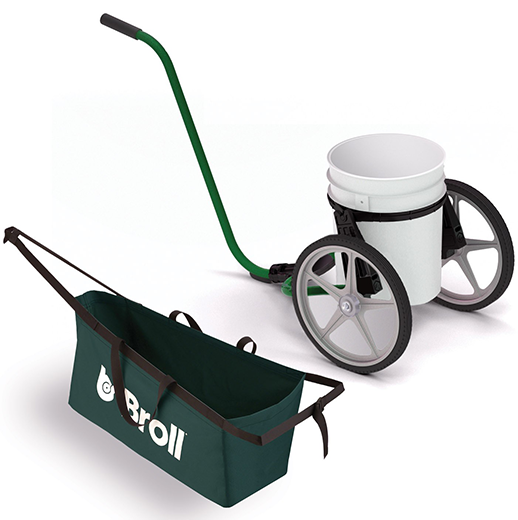 The Broll Pro is the first modular transport device specifically designed to move heavy 5-gallon buckets and whatever you can put in them. 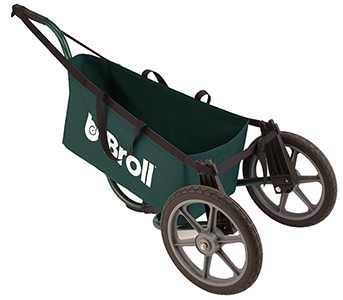 Broll's never-flat 14-inch wheels allow for easy maneuvering over rough terrain.